CANAIOLO is a red grape found in central Italy mostly in Tuscany. It’s blended with Sangiovese to make Chianti and Vino Nobile di Montepulciano. ARNEIS is a white grape found in the Piedmont region of Italy in the hills around the city of Alba and translates into “Little rascal”, named because it’s difficult to grow. 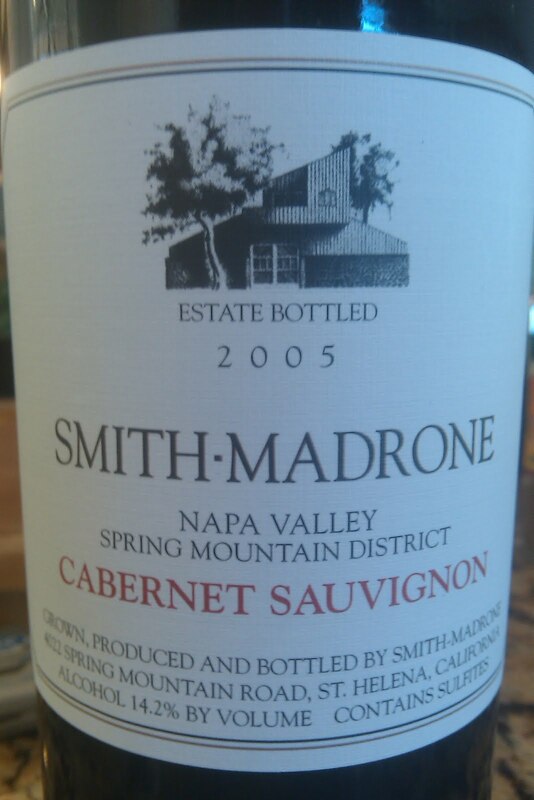 It makes for a full bodied and dry wine with crisp and floral nuances. CHENIN BLANC is a white grape found in the Loire Valley of France. It’s the grape used to make Vouvray and other AOC’s in Loire. In South Africa it’s called “STEEN“. It is also used to make sparkling wine in Loire and is called “Cremant de Loire”. It can also be found growing in California. Some think that it may be a parent grape to Sauvignon Blanc. On the palate Chenin can be dry to semi-sweet with minerals, apples and honey. It can be paired with numerous foods and know for its versatility. Posted on August 31, 2011 Categories Chenin Blanc, Chianti, France, Loire Valley, Piedmont, South Africa, Tuscany, wineLeave a comment on What grape is that….? With an estimated 10,000+ varieties of grapes used to produce wine around the world, why are only familiar w/ a small portion of them. Some grapes grow in specific regions in the world, some are grown throughout the world. Some are used exclusively for blending and some are bottled by themselves. Some grapes are the same but called by different names in different parts of the world i.e. Shiraz & Syrah or Grenache & Garnacha. GRILLO is a Sicilian white grape that is used in Marsala and some producers bottle it by itself and it makes for light, refreshing glass of wine. It should not be confused with the red grape GROLLEAU from the Loire Valley. This grape is often used for rose or blending. It also has a very unique taste profile. TORRONTES from Argentina is white wine that is very aromatic on the nose and is starting to get some recognition in the U.S. after riding Malbecs coat tails. Just a few wines for today. Continue to check back for other grapes/wines you may not have heard of.. yet! Posted on August 17, 2011 Categories Argentina, France, grapes, Grenache, Loire Valley, Marsala, Shiraz, Sicily, Torrontes, wine1 Comment on What grape is that….? With the winery dating back to the 1850s, the Rotta family has owned it since 1908. Grandson of founders, Mike Giubbini has been pulling the winery out of a dormant stage to revive some of the family traditions and replanted vines back in 1990. Planting mostly Zinfandel on their 20 acres of estate vineyards which is also dry farmed, they starting bottling under the Rotta name back in 2002 after years of selling grapes to nearby wineries. Focusing on mostly red wines they also purchase grapes from local vineyards mostly on the Westside of Paso Robles and Templeton area. 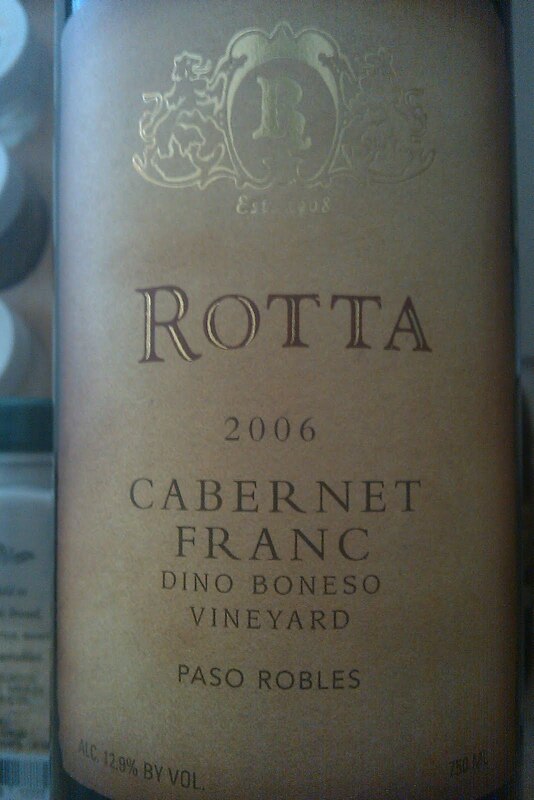 I’ve been told that the following wine is the only vineyard designate Cabernet Franc from California. Who is Plavac Mali? Parent or Offspring? As grapes are living, breathing organisms they have DNA just like us humans. And also like us humans, grapes have traceable ancestry. Parent grapes, going back to the country of origin and finding relative grapes have become a science. Plavac Mali (pronounced Pla-Vatz Malee)had been thought to be a parent of Zinfandel, but has been found to be offspring of Zinfandel. The Zinfandel grape which has been considered an “American grape” has been widely thought to be the same as Italian grape Primitivo, from the southern part of Italy. DNA testing shows that the Zinfandel ancestry relates to the Croatian grape Plavac Mali and grown in vineyards along the Dalmatian coast. All are related though none are identical. With the help of Mike Grgich, owner of Grgich Hills winery in Napa Valley & born in Croatia, DNA testing shows that Plavac Mali and Zinfandel are not the same grape but related and that Zinfandel could actually be parent, along with Dobricic, to Plavac Mali. DNA tests show that Zinfandel is actually the Croatian grape Crljenak. Plavac Mali translates into “small blue” and refers to the grape itself, which tends to be lighter in body than Zinfandel. Milos Plavac Mali is one of Croatia’s most respected producers of the grape. Making only about 2,500 cases of Plavac Mali, winemaker/owner Frano Milos doesn’t manipulate the wine and uses only natural yeast before aging the wine 1 year in oak then, 2 years in the bottle before release.Garnet to the eye it’s spicy with good fruit you can see the relation to Zinfandel. Cherry and currant flavors evolve along with a smoky flavor that screams for wild game or a beef roast pairing. With a 12.8% alcohol level it’s not over powering or “hot” as we say. It should retail for between $20-$25. With the popularity of Croatian wines in the United States in recent years don’t be surprised if you see this delicious wine on restaurant wine lists and wine retailers shelves. Reference: Meredith, Dr. Carole “Looking for Zinfandel in Croatia” in Zinfandel Express January 2002. 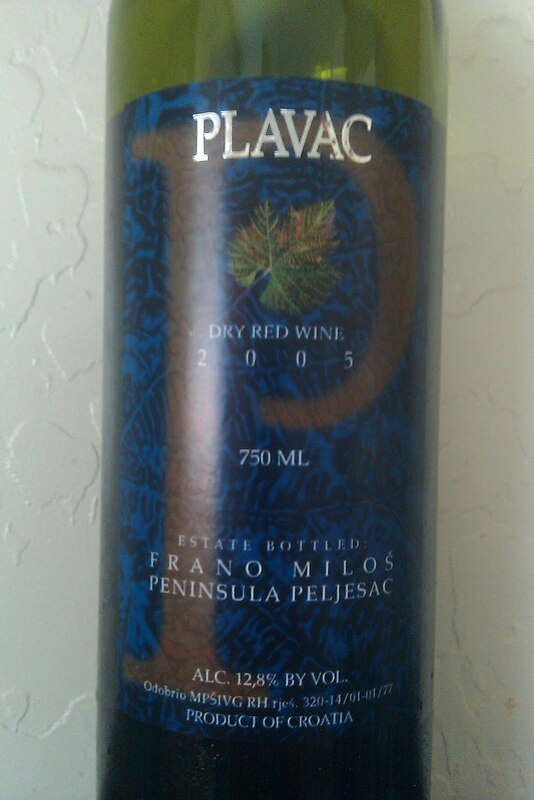 Posted on August 2, 2011 Categories Croatia, Mlos, Plavac Mali, Primitivo, wine, zinfandelLeave a comment on Who is Plavac Mali? Parent or Offspring?